Get healthy, not high. Discover the calming, pain-relieving effects of CBD oil and try recipes for delicious CBD-infused edibles and DIY self-care products. CBD oil, or cannabidiol, is a nonpsychoactive compound found in cannabis that boasts serious health benefits for your mind and body. It's been shown to effectively alleviate pain, lessen anxiety, reduce inflammation, and improve overall well-being. Get the facts about CBD oil, and experience the benefits of this healing product with edibles and self-care products you can make yourself and customize to meet your needs. 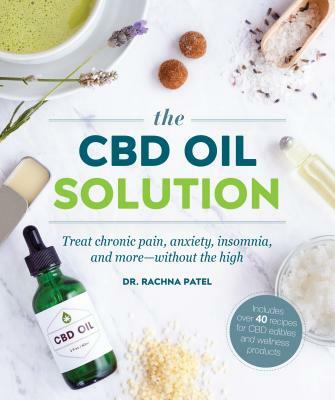 Dr. Rachna Patel is an internationally recognized expert in the field of medical cannabis. She teaches patients how to use CBD oil to relieve their symptoms, transform their health, and live a better quality of life. Dr. Patel completed her undergraduate studies at Northwestern University and earned her medical degree from Touro University. Connect with her and find helpful articles, online programs, and more at DrRachnaPatel.com.